Shillong, the capital city of Meghalaya celebrated Diwali, the festival of lights, along with the rest of the country with much pomp and gaiety. People across the city, especially the non-Christians illuminated their houses by various kinds of decorative lights apart from lighting traditional diyas. People, both young and old engaged themselves in bursting crackers at their courtyards in the evening which marked the celebration of triumph of good over evil. Houses and temples alike were being decorated along with public places. Roadsides, shops and buildings wore decorative looks with various designs of colourful lights. Meanwhile, the East Khasi Hills district administration had issued strict guidelines to follow the Supreme Court orders fixing the time for bursting of low decibel and low emission crackers from 8:00 pm to 10:00 pm. 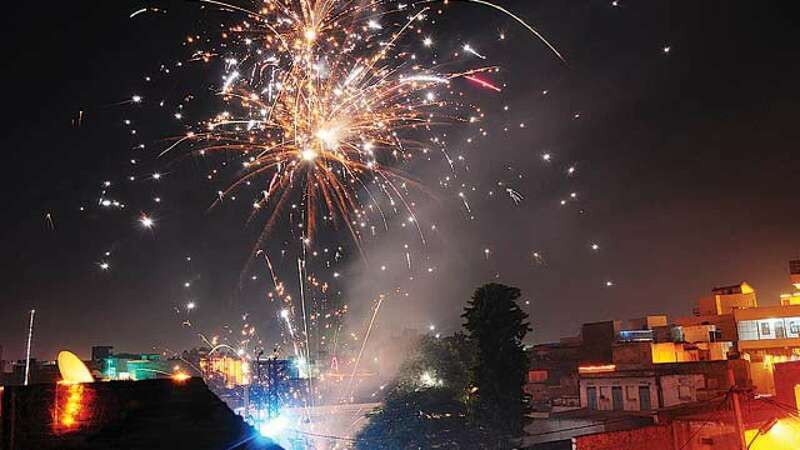 However, it was witnessed that some youngsters had burst crackers even during the day and that too of high decibels and the bursting continued well past midnight. Meanwhile, elaborate security arrangement was also made on the occasion including placing of fire tenders to attend to any emergencies. Earlier State Governor, Tathagata Roy and Chief Minister, Conrad K Sangma extended their greetings to the people of the State on the occasion and wished that the festival ushers in the spirit of peace and harmony among all citizens.